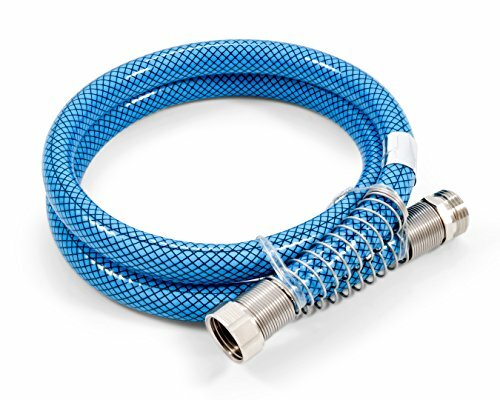 This replacement swivel hose end can make your Flexzilla and Flexzilla Pro air hose field repairable with three basic steps: 1). 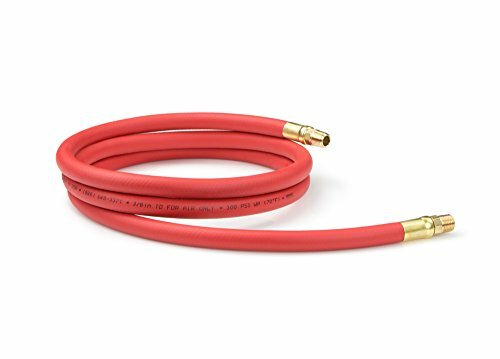 Cut damaged portion of hose at 90 Degree. Slide bend restrictor and fitting nut onto hose. 2.) 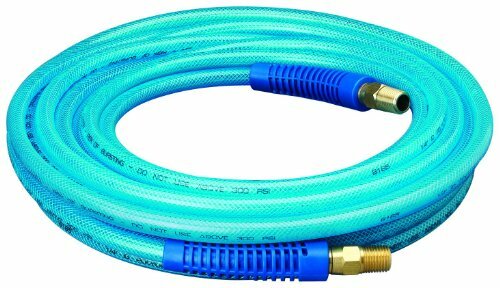 Push hose onto reusable fitting until hose reaches threads. 3.) Tighten fitting nut until snug. Snap into bend restrictor. Includes Reusable 1/4 in. MNPT anodized aircraft aluminum fitting for 1/4 in. Flexzilla and Flexzilla PRO air hose and Spiral bend restrictor. 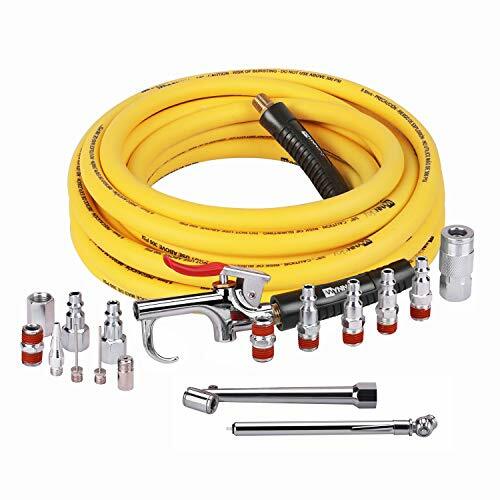 This convenient hose kit features Flexzilla Pro Air Hose with a Red Industrial (Type D) 1/4 in. body ColorConnex coupler and plug set (one each). Pairing Flexzilla s revolutionary design with color-coded ColorConnex means two great products in one. Since the coupler and plug are already installed with thread sealer, you re ready to go as soon as you reach the job site! 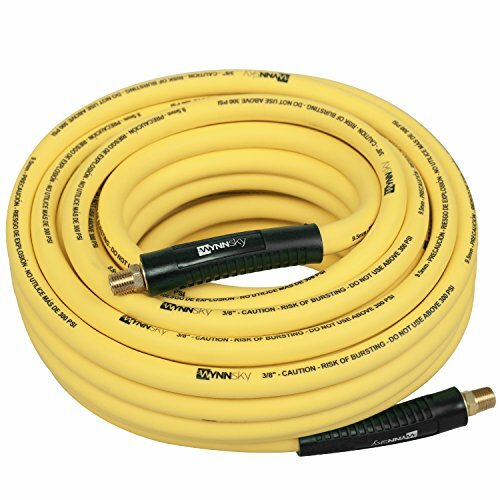 The Wynnsky 1/4" 50FT PU reinforced Air Hose,which is ideal for indoor & outdoor use in home, shop, construction and industrial applications. It features a flexible, kink-resistant design. The PU reinforced material is designed for much lighter, long life with Max working pressure is 300PSI. 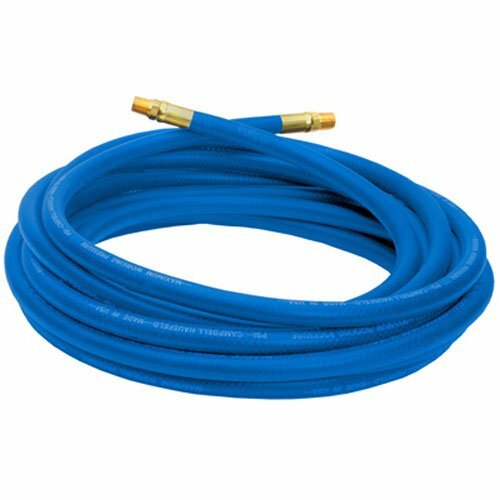 This lead-in hose is constructed of hybrid materials, giving you the strength and flexibility of rubber with the light weight of PVC. 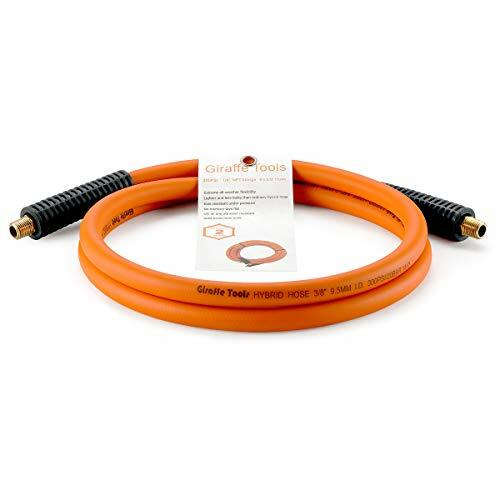 It keeps Flexibility from -40 F to 150 F. Bend resistors prevent wear and tear at the joints, and a kink resistant design prolongs the using life of the hose. The blended with rubber and PVC material makes it heavy duty, lightweight, no fading and abrasion resistance so you don't need to worry about damage from snagging or dragging it on the ground. The 1/4 inch quick coupler is made of solid brass for better performance and increased durability. 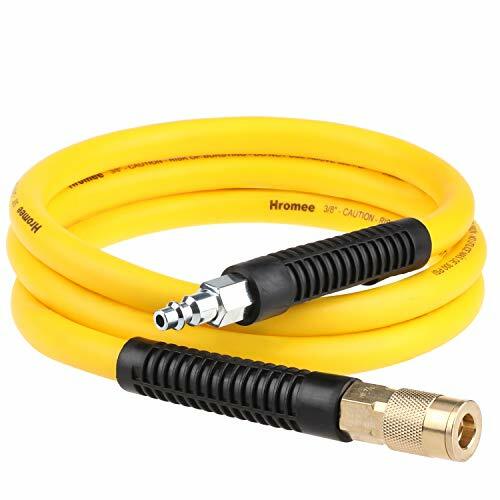 This air hose, part of professional line of pneumatic tools, is suitable for any professional jobsites, in automotive shops or at home in the garage . 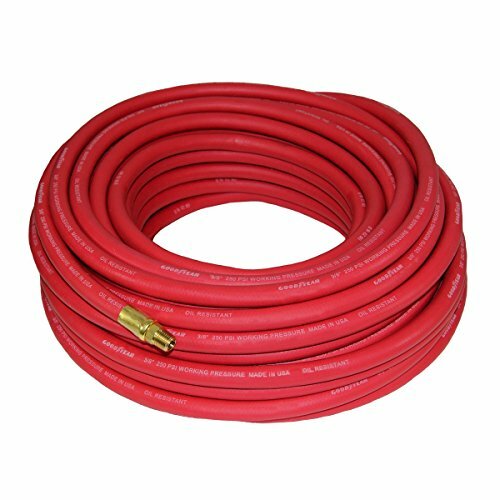 6 FEET HOSE - The Hromee 3/8 in. 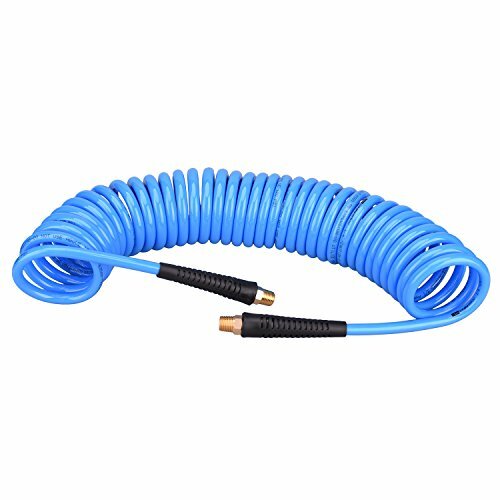 x 6 ft. Lead-in Hose is used to connect your air hose reel to your compressor and is made to help absorb the shock loads produced by air powered tools. 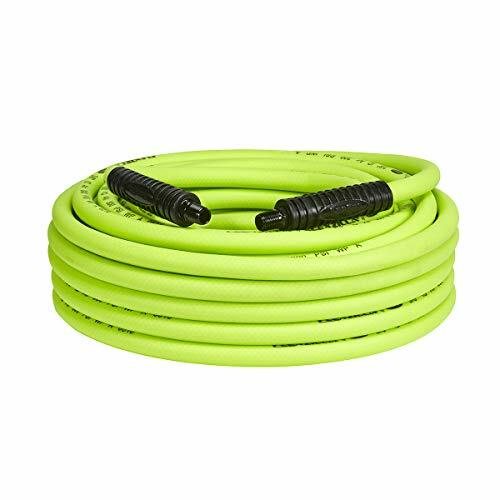 This durable, lightweight hose is ideal when you need a short length of ready made hose. It helps prevents tangles and reduces user fatique, improves air tool ergonomics. 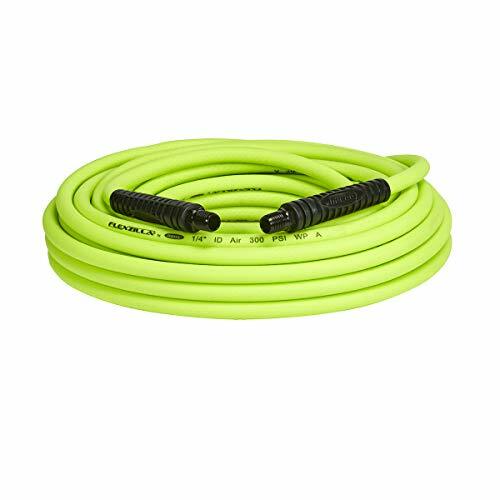 HYBRID AIR HOSE - Made of blended with rubber and PVC for good features such as heavy duty, lightweight, no fading, abrasion resistance and so on. Outer layer and inner layer are all hybrid and the middle layer is woven. 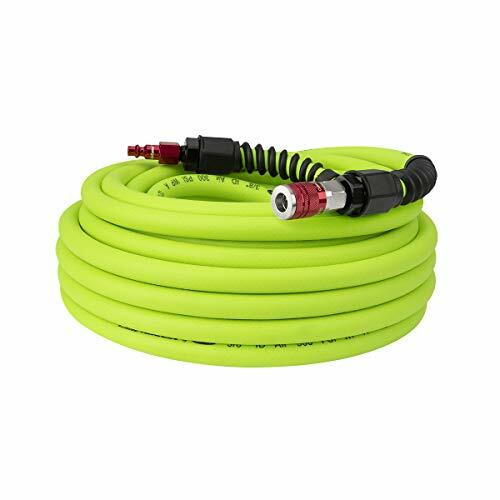 The hose has the flexibility of rubber without the weight, and the lightness and durability of PVC without the coils. 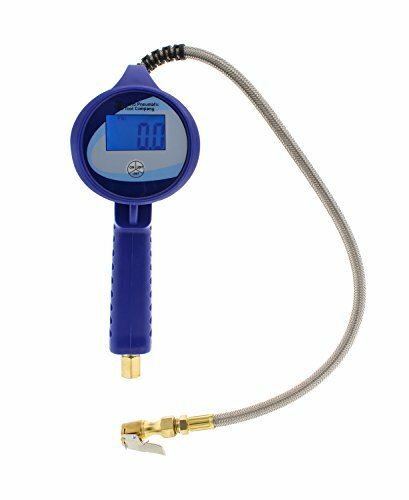 The maximum working pressure is 300PSI and the burst pressure is 900PSI. 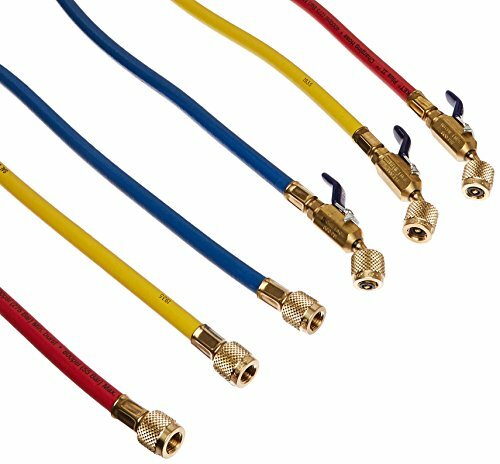 COUPLER & PLUG - Hromee lead-in air hose is equipped with solid brass 1/4 inch FNPT coupler and steel plug for connecting rigid air piping to other devices like hose reels, air compressors and more. Coupler and plug are heat treated to reduce wear on critical mating surfaces. 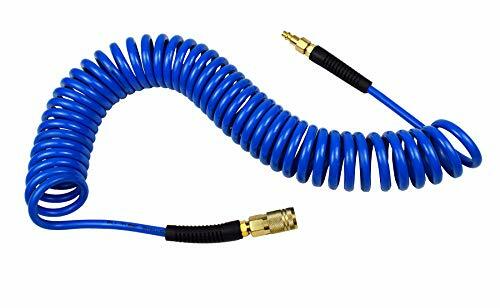 SPECIAL PROTECTOR DESIGN - Heavy duty bend restrictors provide the durability to avoid kinks, knots, bends and increase the lifetime of the air hose. 1/4 in. brass MNPT end fittings, better against rust than steel and stronger than aluminum. 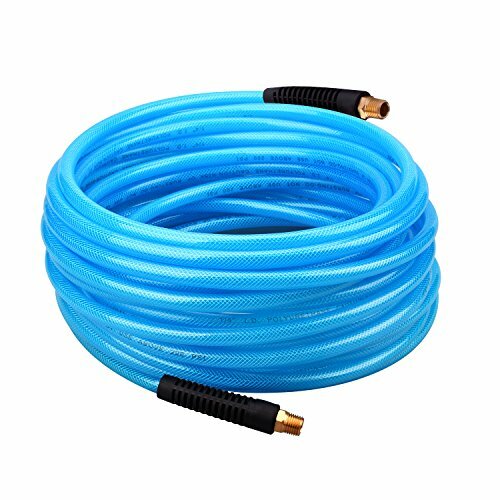 ALL WEATHER USE - The hybrid material make the hose work in extreme cold weather and remain flexible and kink resistant for prolonging using life. The flexible in cold weather temperature range is down -40 F to 150 F which is suitable for professional automotive shops and home DIY work.